The child-friendly home has a private lake beach Kinnunkaita, which is about 30 minutes by car from Mikkeli. Beautiful lake view from kitchen and bedroom. The child-friendly home has a private lake beach Kinnunkaita, which is about 30 minutes by car from Mikkeli. Beautiful lake view from kitchen and bedroom. 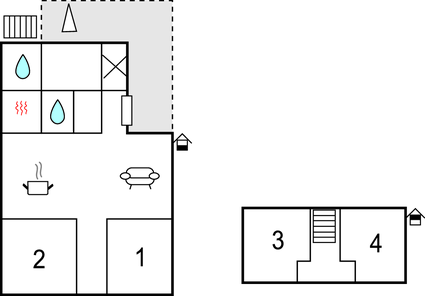 In the basement are two bedrooms in standard size, upstairs the bedrooms have a low ceiling. The house is heated with environmentally friendly geothermal underfloor heating ensures a pleasant room climate in all rooms. In the living room is also a pellet stove. In the garden is a fenced playground, so that the child can not come unobserved to the lake shore. The private beach is located 30 meters from the house, to him a jetty, a barbecue hut and a rowboat are available. 2 toilets. An electric stove heats the easy to use Saun. A perfect holiday home for a large or two families. This beautiful modern cottage is made from wood and was recently built in 2010. The agent has rated it as a four star property so it is a well-equipped cottage with above average furnishings. It is also great value for money. 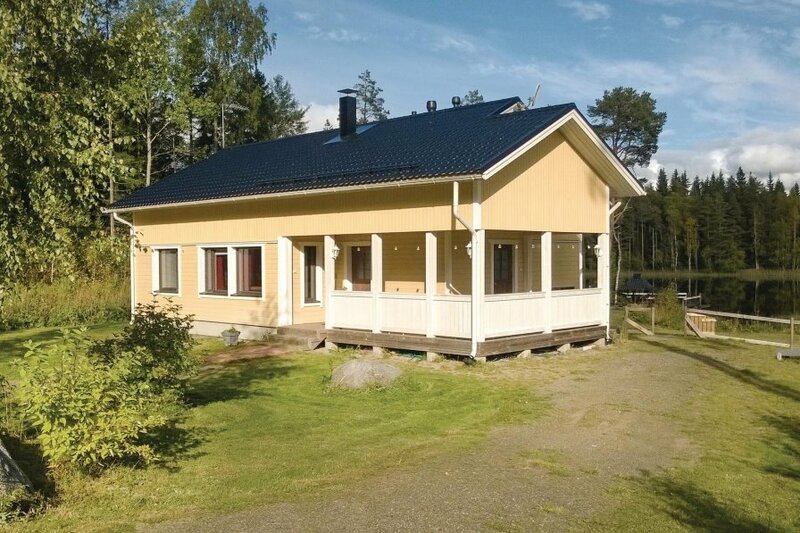 This cottage has beautiful panoramic view over water and is located in Lake District, 30km from Mikkeli. It is set in a very convenient location, just 30 metres away from a lake. There's also a restaurant 9km away. The cottage has free wireless internet. You can also park on-site at no extra charge. The cottage is well equipped: it has a refrigerator, microwave, shared washing machine and dishwasher. The property has a sauna; it also has a barbecue and some garden furniture outside.